It was a case of six of the best for Kiama Downs as the South Coast club powered home to claim their sixth consecutive NSW IRB (Inflatable Rescue Boat) Premiership Series last weekend. Kiama Downs were frontrunners all season with impressive victories each round ultimately securing the title ahead of Caves Beach and Queenscliff in a result that was a repeat of 2016. The reigning champions blitzed the field in 11 events overall including three out of four in Open Male and Female and Over 35s Mixed. Along with the confidence taken from the victory, the club takes home an IRB motor thanks to Lakeside Marine. The final round of the series at Cape Hawke SLSC on the state’s Lower North Coast dawned with favourable conditions allowing a full weekend of racing enjoyed by all the competitors. This was the final chance to race not only for points, but also fine-tune their preparations for next month’s State Championships at South West Rocks. Kiama Downs SLSC IRB Captain Nathan Foster says he’s very proud of the clubs effort throughout the Premiership. “It’s very nice to win this season especially as we didn’t know how we would go with not having an Over 45s Mixed team. Our IRB team is made up of a good balance and with the Premiership pointscore you don’t need a big team you just need good crews and we’re lucky we have that,” Nathan Foster said. Caves Beach who finished in second place were dominant in the U23 Mixed division winning three events while in the Over 45s Mixed they cleaned up in the Tube and Rescue events. Other clubs who enjoyed impressive results at the weekend included Woonona who took out the Open Male Rescue and Catherine Hill Bay who were too good in the Open Female Tube. Forster took full advantage of their local knowledge by taking out the Over 35s Mixed Tube event. In the Over 45s, North Avoca held strong in the Teams division while Terrigal finished on top in the Mass. 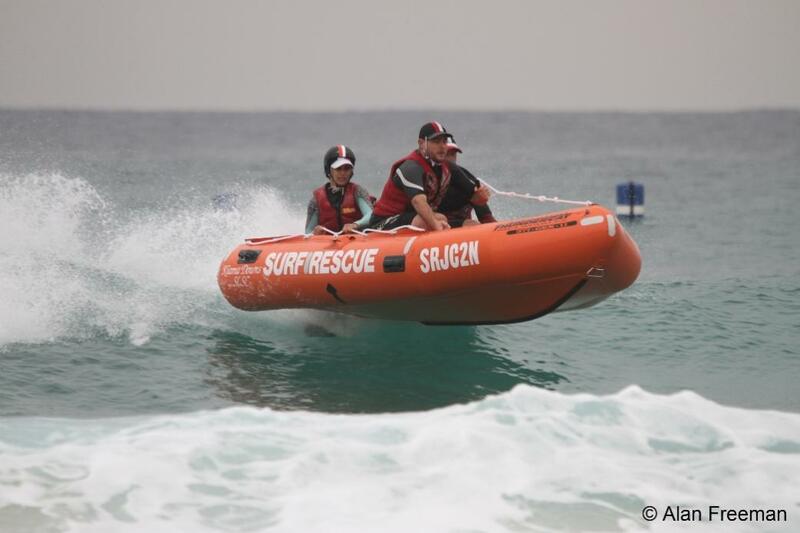 In the Rookie division, Woonona and Avalon Beach finished on top of the Rescue and Mass events respectively. The spread of podium placings augurs well for the future of the sport in NSW, and gives confidence to the clubs as they wrap up preparations for the final races of the season which includes the State and Australian Championship. Surf Life Saving NSW Sports Manager, Rob Pidgeon says the Premiership Series has been a huge success. “Congratulations to Kiama Downs for winning the Premiership, it’s an amazing effort by the club. It’s also positive to see the quality of racing from all clubs improve this season and we’re very much looking forward to the State Championships,” Rob Pidgeon said. The 2017 IRB State Championships will be held at South West Rocks SLSC on the first weekend of July with the Interstate and Australian Championships hosted by Cudgen Headland SLSC from 14-16 July. 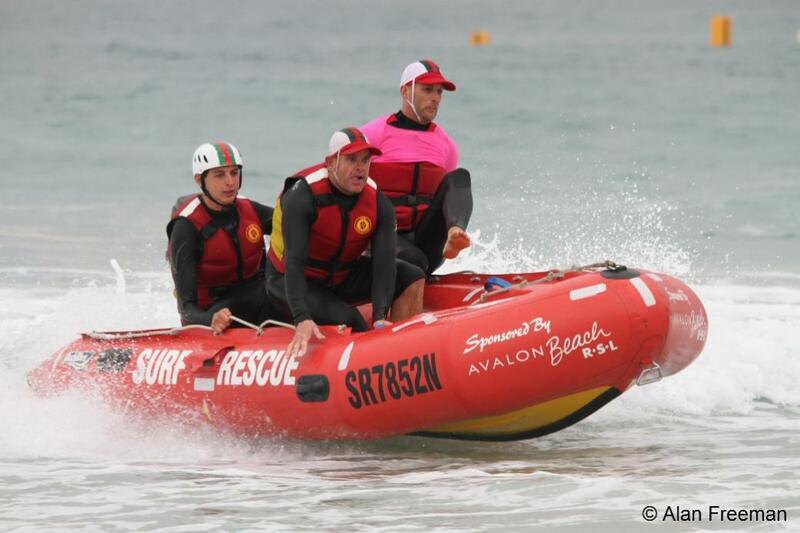 Awesome weekend for the final round of the SLSNSW IRB racing series at Cape Hawke SLSC. Especially well done to our U23 Team Rescue (Nathan Doyle, Tara Doyle, Keelan Smith, Liam Taurins, Melisse Cooper and Lauren Budd) who came 3rd in the Championship Pointscore! Good Luck to our Team in the state championships in 2 weeks at South West Rocks. 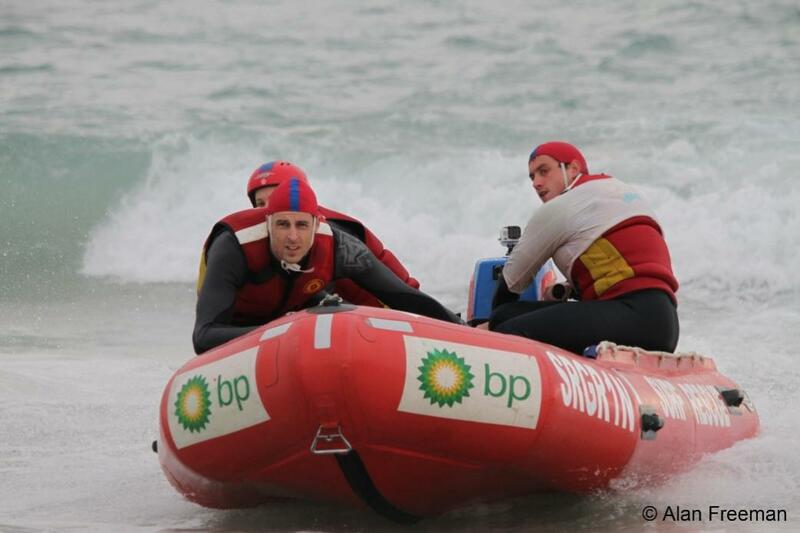 Congratulations to our Rookies Todd Barber and Zach Dale who came first in the NSW IRB Championships pointscore over 4 rounds for the Mass Rescue event. Also well done to our Under 23 Teams (Nick Sampson, Pete Ashcroft, Matt Mayall and Blake Taggart) who came 4th and Over 35 Teams (Jason Dale, Pete Carter, Alan Mahn and Richard Cole) who also came 4th. A huge thanks to our amazing patients who endure regular constant dunking in freezing water, occasionally being run over, and hauling in and out of speeding IRB's: Amelia Barber, Mel Hall, Todd Barber, Zach Dale, Blake Taggart, Marc Nehama and Alan Mahn. 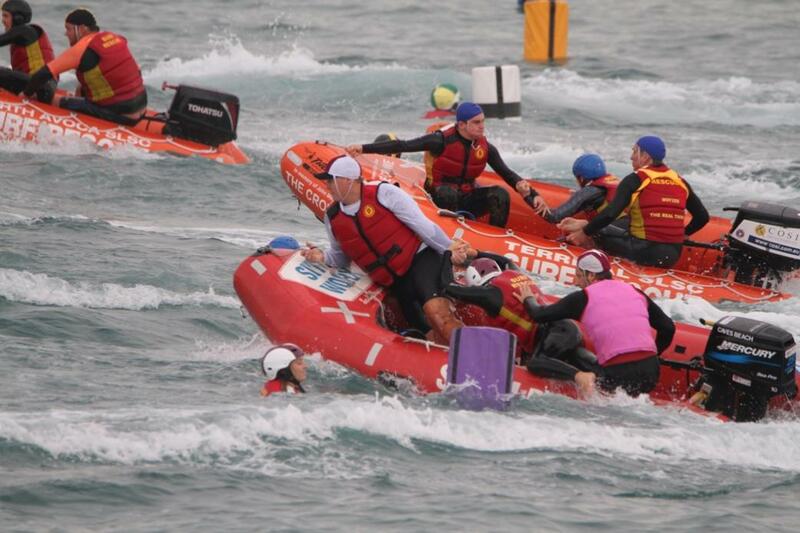 As the final round of the NSW Inflatable Rescue Boat (IRB) Premiership Series heads to Cape Hawke SLSC this weekend the overall title is set for its closest finish in recent years with just two points separating first and second in the standings. One Mile Beach will rock to the hum of motors and the thrill of the competition as they play host to over 250 surf lifesavers from 20 clubs across NSW. All clubs will be chasing Kiama Downs who are currently leading the Overall Premiership Pointscore ahead of perennial rivals Caves Beach and Terrigal. Kiama Downs are reigning champions and are gunning for their sixth straight Premiership title to take home to the South Coast, an impressive feat in an era where the skills of the competitors are ever improving. Forster SLSC will be flying the flag for the Lower North Coast Branch (currently sitting in 10th spot overall) and after making a splash last start at Ocean Beach will be hoping to take full advantage of their local knowledge. Cape Hawke SLSC President Gary Curtis is looking forward to welcoming the best NSW IRB competitors and hopes this could encourage his fellow club members to race in the future. “The beach is looking good; we think the surf conditions will be favourable so we expect a full weekend of racing,” Gary Hawke said. “Cape Hawke is a club that has had a pretty strong IRB team in the past but unfortunately not so much in recent times. I believe it’s great to have major events every few years to keep the interest of surf lifesaving around the community. Surf Life Saving NSW Sports Events Coordinator Luke Stigter is looking forward to a great weekend of racing at the series ending event. “The quality of racing has been at its highest this season and we expect it continue this weekend. With the winners of the Premiership pointscore taking home an IRB motor, there’s a lot of pressure on teams for every race,” Luke Stigter said. Racing for the final Premiership Round is set to start at 8am on Saturday and will be the last opportunity to tune up ahead of the NSW State Championships which will be held at South West Rocks on the first weekend of July. Avalon Beach SLSC, Catherine Hill Bay SLSC, Caves Beach SLSC, Coogee SLSC, Cooks Hill SLSC, Forster SLSC, Kiama Downs SLSC, Manly LSC, Newcastle SLSC, Newport SLSC, Nobbys SLSC, North Avoca SLSC, North Cronulla SLSC, North Narrabeen SLSC, Ocean Beach SLSC, South Maroubra SLSC, Stockton SLSC, Terrigal SLSC, Thirroul SLSC and Woonona SLSC. There’s no question that speed will be the aim of the game when NSW surf lifesavers takes to the ocean at the Interstate Inflatable Rescue Boat (IRB) Championships at Cudgen Headland SLSC next month. A total of 35 athletes have been announced to don the blue cap in the annual event after impressive racing throughout the NSW IRB Premiership Series which concludes at Cape Hawke SLSC this weekend for the final round. The 18 strong NSW Interstate Team will be racing to spoil their northern rivals’ dominance with the Queenslanders having enjoyed plenty of success over the last few seasons. Reigning NSW IRB champions and current Premiership leaders Kiama Downs have been rewarded for their consistency with 10 of the 18 selected athletes hailing from the South Coast club, while Caves Beach, North Cronulla and Catherine Hill Bay will also be represented. Thanks to NSW hosting the competition for a second straight year, the state will also be fielding a Development team boasting some of the best young and up and coming IRB competitors in Australia. This group of 17 will have the opportunity to test their skills against the best in the country however; their results don’t contribute to the final pointscore. Kiama Downs stalwarts Nathan Foster and Steven Guy will lead the Interstate Team in this campaign as Head Coach and Team Manager respectively while Thirroul’s Steve Robson and Ken Sellers from The Entrance will be guiding the Development Team. Surf Life Saving NSW Sport Manager Rob Pidgeon congratulates the surf lifesavers selected. “We’re expecting NSW to turn in a fantastic performance at the IRB Interstate Championships. There’s a great mix of experience in the Interstate Team and we think this is the right formula for us to achieve success,” Rob Pidgeon said. The 2017 IRB Interstate Championships will be held at Cudgen Headland SLSC on Friday 14 July, which will be followed by the Australian IRB Championships on 15 and 16 July.